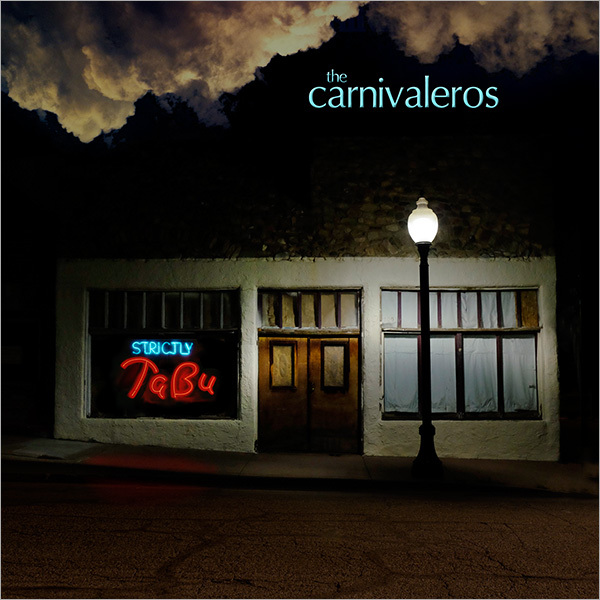 First couple of tunes in, Tallsome Tales, by Tucson group the Carnivaleros, immediately set my Spidey sense (tarantula, natch) tingling. 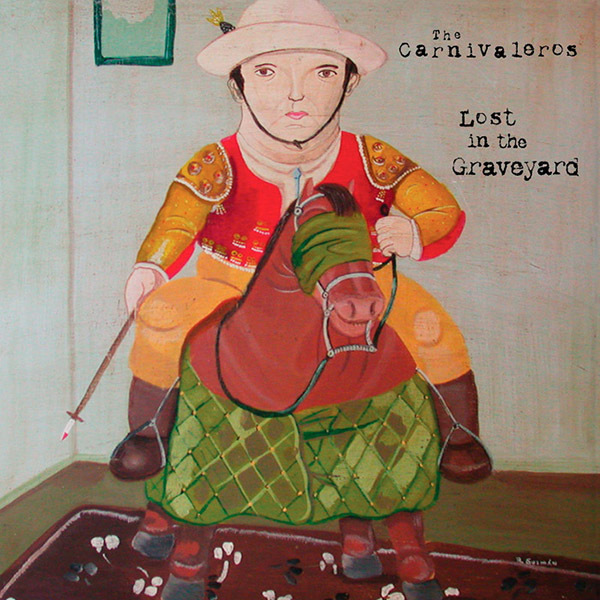 It’s a damned delightful desert disc, part-Tex-mex, part-N’awlins, part folk- and indie-rock, all quality stuff. Who are these guys? For starters, they are fronted by accordionist/vocalist Gary Mackender (well, he also plays drums, percussion, and additional keyboards), and featuring bassist Karl Hoffman, drummer Les Merrihew, and guitarist/fretmaster Joe Fanning, plus a slew of Tucson kith and kin pitching in (backing vocalist Bjorgvin Benediktsson is also now listed as being an additional guitarist). Together, the stir up a giant melting pot of sonic chorizo gumbo that will leave you demanding encores. Or second helpings, take your pick. Indeed, from the noirish polka pop of “The Die Was Cast” and the surreal, Tom Waitsian hectic blues of “Liquor, Vice, and Sin” to the sensual spaghetti western romance that is “Belinda Bonita” and the outrageous Los Lobos-meets-Little Feat “Justified Fitting End” (which should be turned into a crime novel), Tallsome Tales is a guaranteed party starter. This group effortlessly bridges genres and thwarts preconceptions, period. 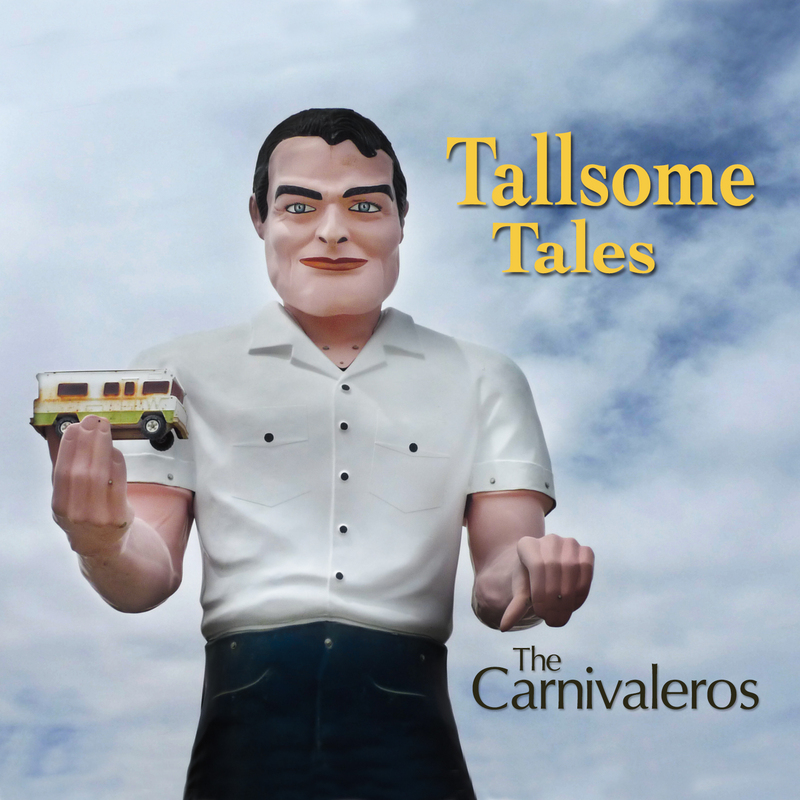 Tallsome Tales is comprised of 9 songs of bad luck and love along with 3 instrumentals, all penned by songwriter and bandleader Gary Mackender. Musicians who contributed their talents to this project are Karl Hoffmann, Joe Fanning, Les Merrihew, Björgvin Benediktsson, Catherine Zavala, Mitzi Cowell, Carla Brownlee, Ed DeLucia, Michael Oliver, Mike Coyle, Heather Hardy, and Don Armstrong along with horn charts by Greg Mackender. And if you're curious about the stories behind the songs and the recording process, click on the podcast link above! 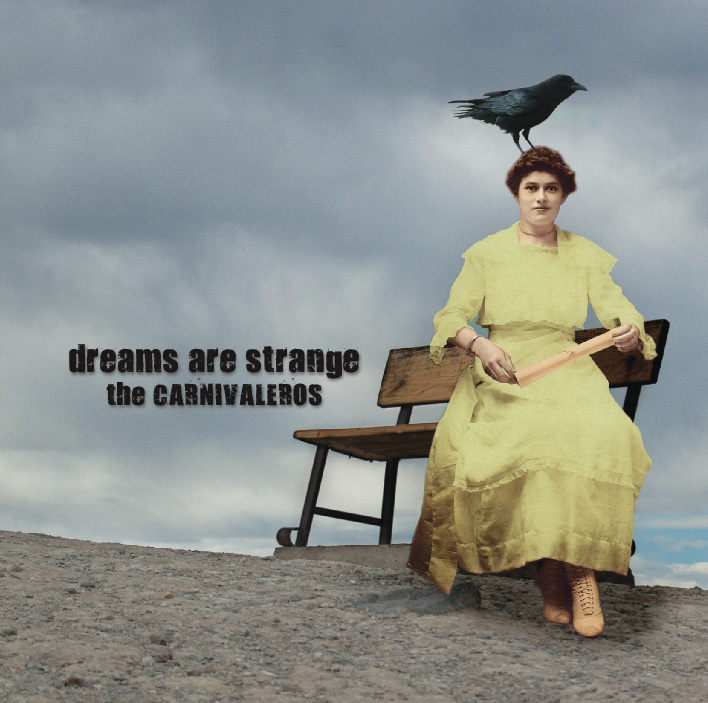 "Dreams are Strange is the band’s fifth release, and every Carnivaleros CD is excellent, that much goes without saying, an intoxicating mixture of roots musics of all brands: zydeco, folk, Appalachian, Tex-Mex, swing, and, yep, even waltzes, though Big Louie and the Versailles Court would never recognize the lattermost incarnation here, I’m pretty damn sure. More, each disc is better than what preceded it. That alone should supply the band with ample reason to…cut it the hell out!! This is Earth, we’re allowed only just so much above our station, and then have to shuffle off the coil, so don’t force the envelope! The listener is advised to afterwards listen to The Osmonds, The Archies, or The Bangles as penance for having tasted of Eden and the apple." "Unlike the others, there is breadth and scope to the material, and its delivery, that puts this offering head and shoulders above its predecessors." 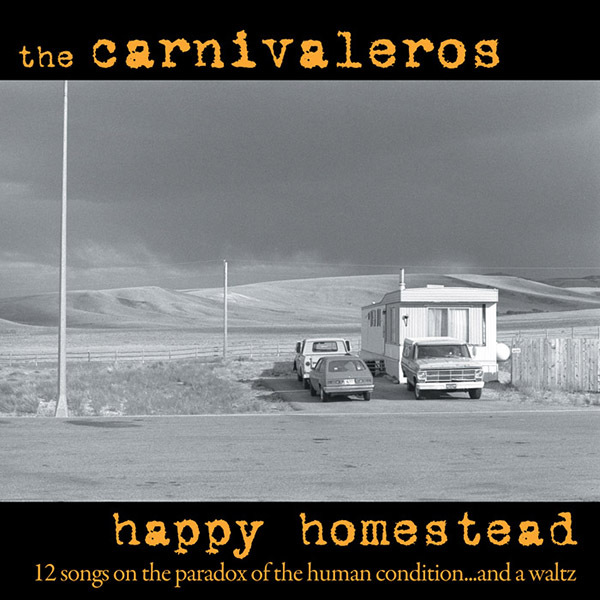 "Homestead is what Carnivaleros music really is, 110% this time, and what that is, is infectious as hell, swingin' like a gin-swozzled junebug, and as sage as a grinning ranch-hand looking toward darkening skies." "Lost in the Graveyard is as good as it is crazy." 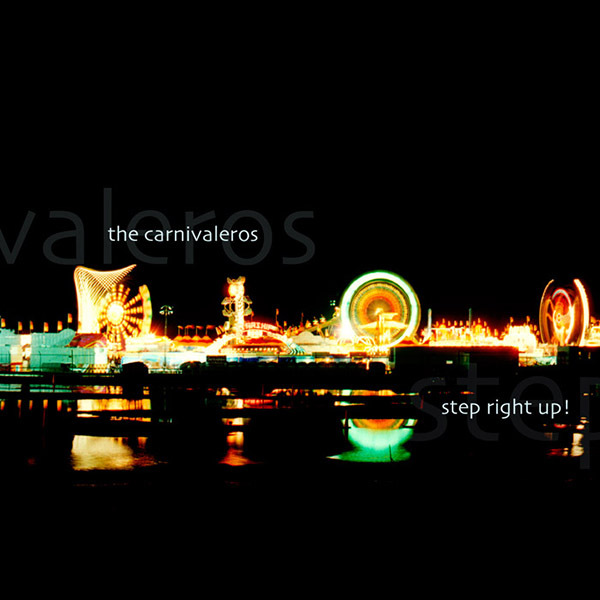 " 'Step Right Up!,' is a firecracker of extraordinary musicianship and genre-bending songs. In terms of musicianship, this group and CD can stand with any we've heard this year (local or national)."